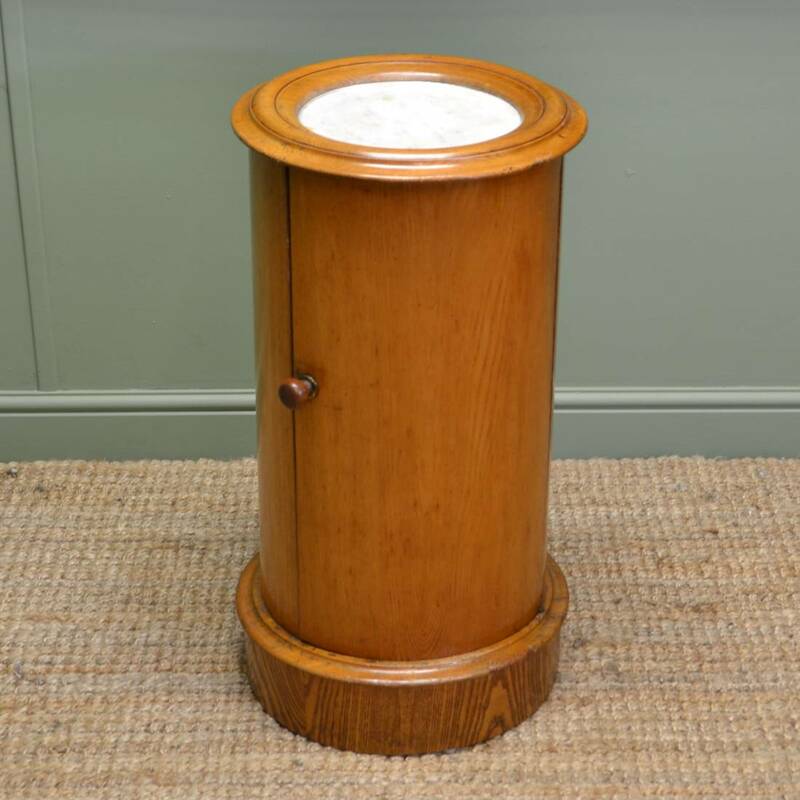 Antique Cylinder Cabinets are an unusual small cupboard that is Cylindrical in shape and usually has a marble top with a Walnut, Satin-birch or Mahogany base. 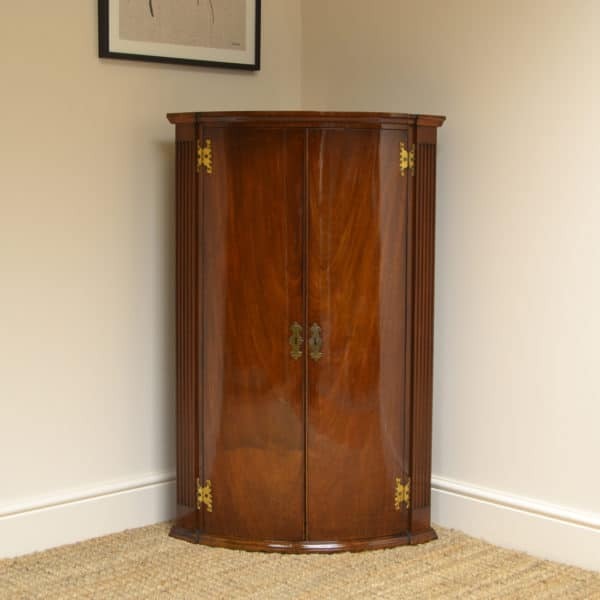 These stunning cabinets have a concealed door and are finished all the way around so were designed to have a plant on top and placed in the centre of a room or hall way. 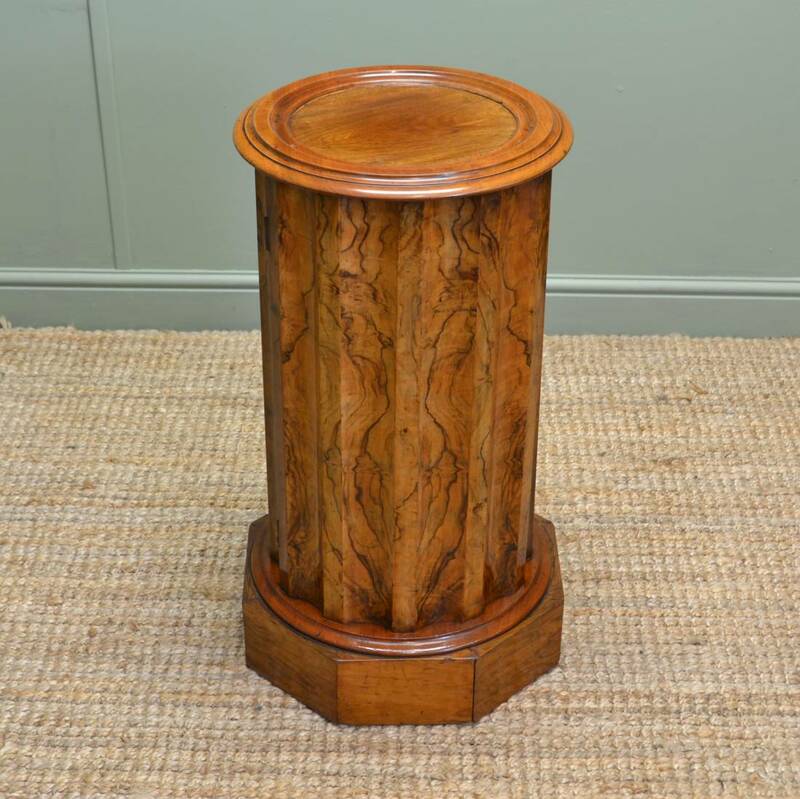 They usually sit on a moulded, rounded plinth with a small turned wooden handle. Today they are mainly used as a useful little storage cabinet but having a lamp situated on top or a nice decorative ornament. 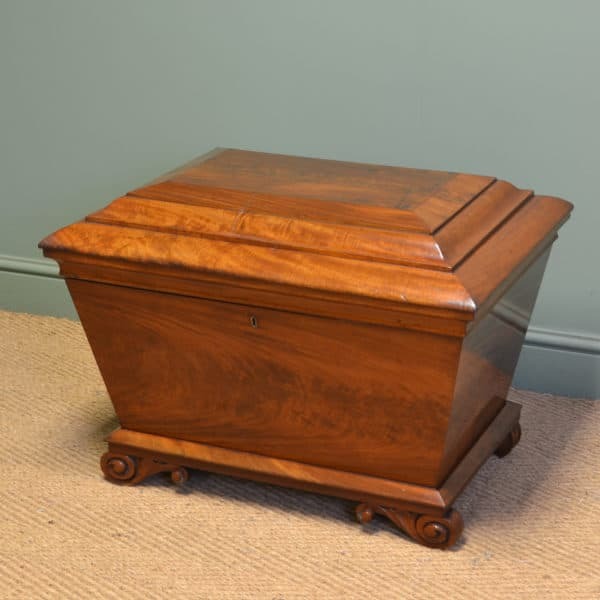 Have a look below at our lovely examples available for sale. 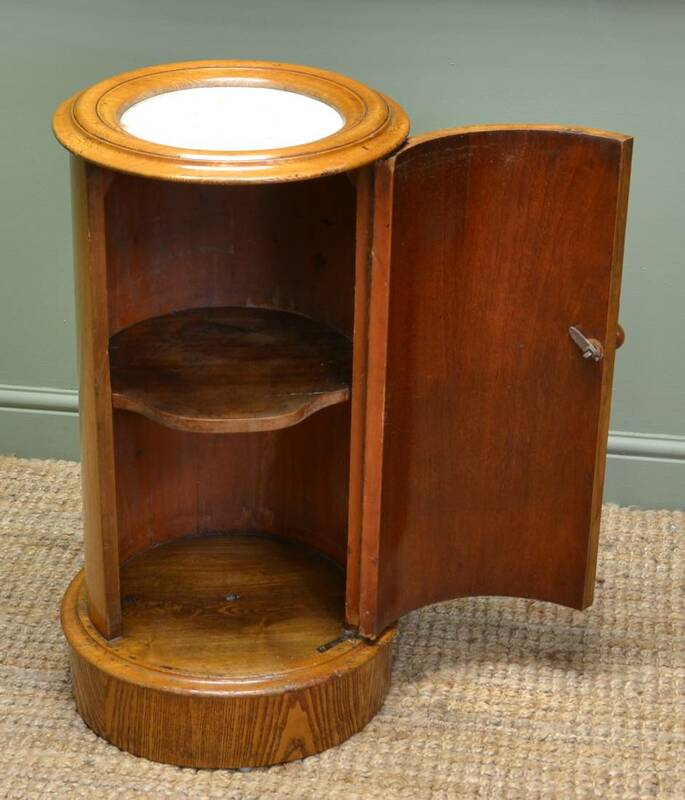 Below are a few examples of previously sold Cylinder Cabinets but if any particular style looks of interest please let us know as we do get many similar designs in stock and we can try to locate something similar. 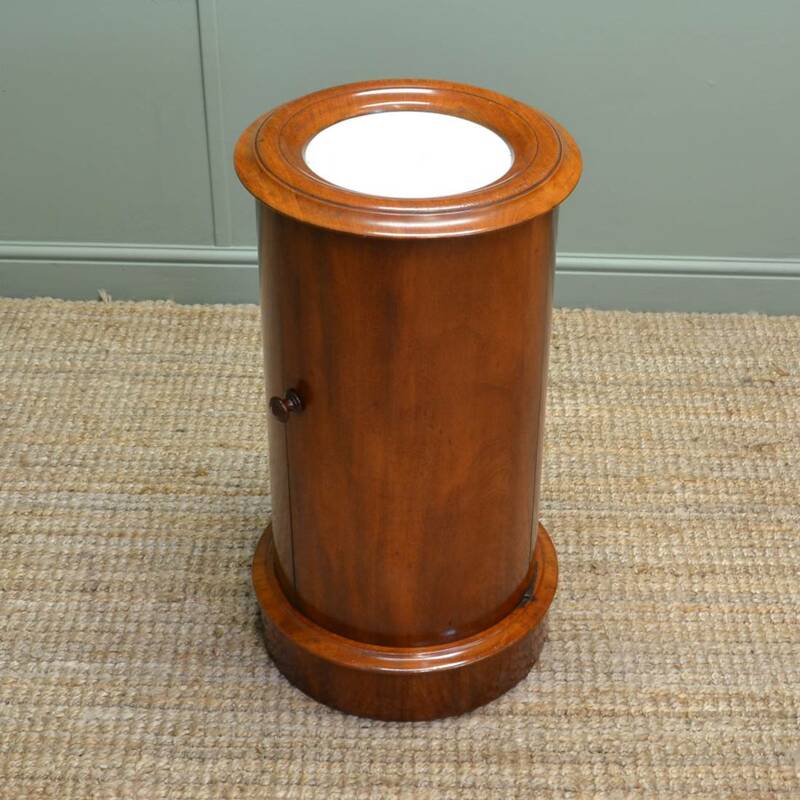 Figured Walnut Cylindrical Antique Pot Cupboard with Scalloped Edge. This beautiful Victorian, circa 1860, antique cylindrical pot cupboard is made from a strikingly figured walnut and has a wonderfully crafted scalloped edge. The top is circular with a moulded edge and central figured panel above a strikingly figured base. 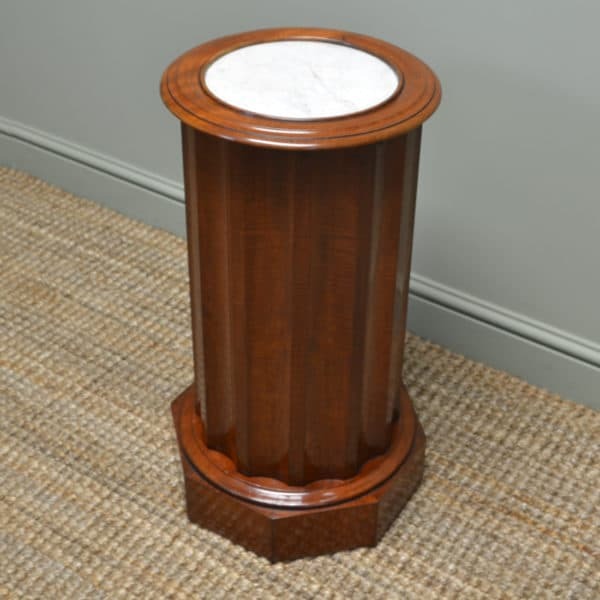 The cylindrical design is beautifully scalloped and stands on an octagonal plinth. 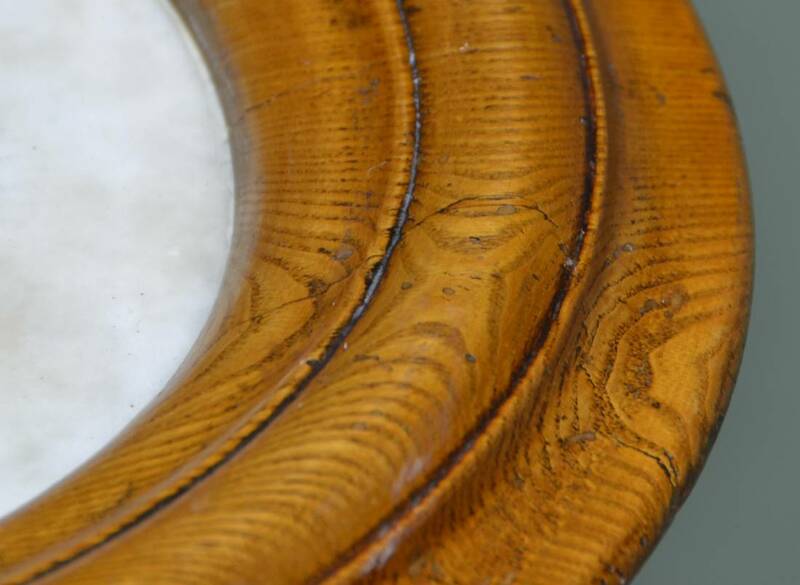 The interior of the cabinet has a single fixed shelf and the walnut is a lovely rich medium shade. 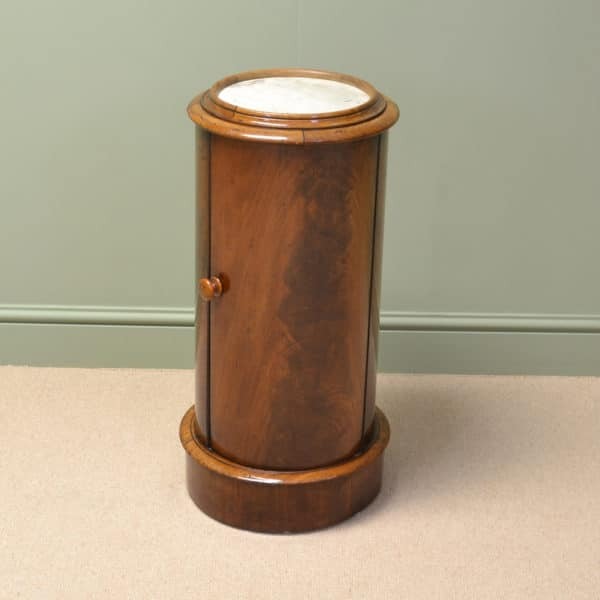 Unusual Mahogany Antique Cylindrical Cupboard. 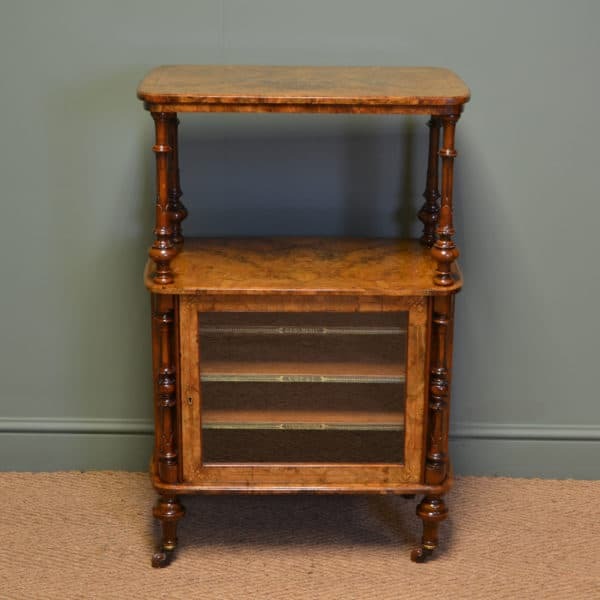 Originally designed to be used as a pot cupboard this striking antique piece dates from around 1860 in the Victorian period and is made from mahogany. 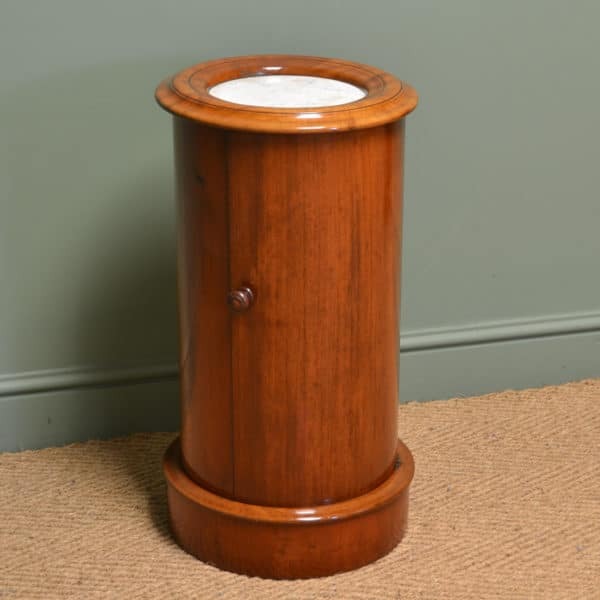 It has a circular moulded top, with central marble insert, above a cylindrical body and door with original turned handle. The interior has a circular fixed shelf while the whole piece stands on a moulded cylindrical base and is overall a very simple but stylish cupboard.